With our catering menu, we wanted to take all the things that our customers love about our in-store offering and bring it to you fresh to share with your friends and colleagues. 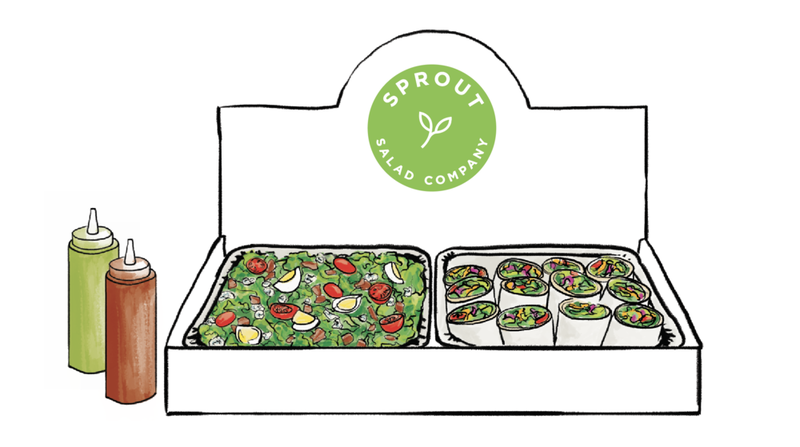 Whether you’re catering for a meeting or a family event, we are confident your guests will love Sprout. Your request has been received and will be address promptly. We tend to get busy with in-store customers during the day so apologies in advance if we are a bit delayed. Our program is designed to address a variety of catering needs, from our spreads designed for a shared group meal experience to individual lunch boxes. Our Snack Trays and Add-Ons allow you to customize your order to fit event needs. 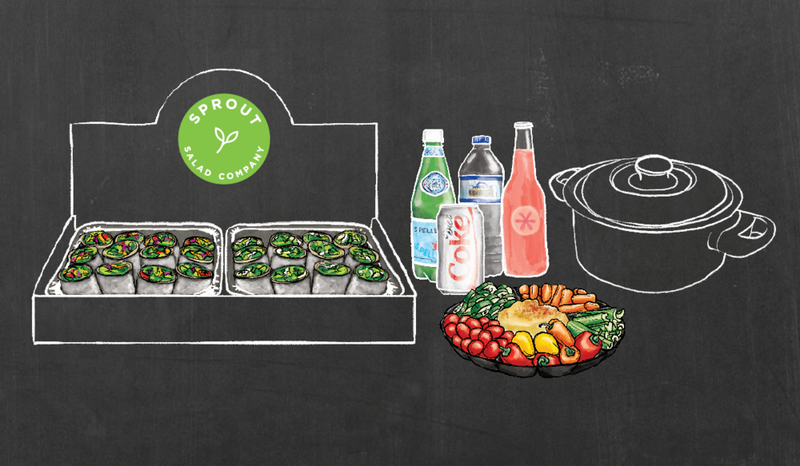 Each of our catering boxes serve up to 10 people. All dressing comes on the side. Salads come with complementary lavash. Salads and wraps include dressings on the side. Salads come with complementary lavash.